Is it just me or is November flying by? I can't believe Thanksgiving is next week already, meaning Advent is not far behind. Last year, I tried to do SO much for Advent...basically trying to fulfill every Pinterest idea I'd ever seen. And guess what - I ended up falling behind, not focusing at all on the reason of Christmas, and felt overwhelmed. I promised myself I would not be doing that again! The Advent book I have is from Blessed is She, a new site for devotions based off of the daily readings. I love having the readings and reflections sent straight to my inbox every day! I am really looking forward to using their Advent book this year. It is full of readings, room to journal, saints to inspire you, and questions to get your mind thinking. 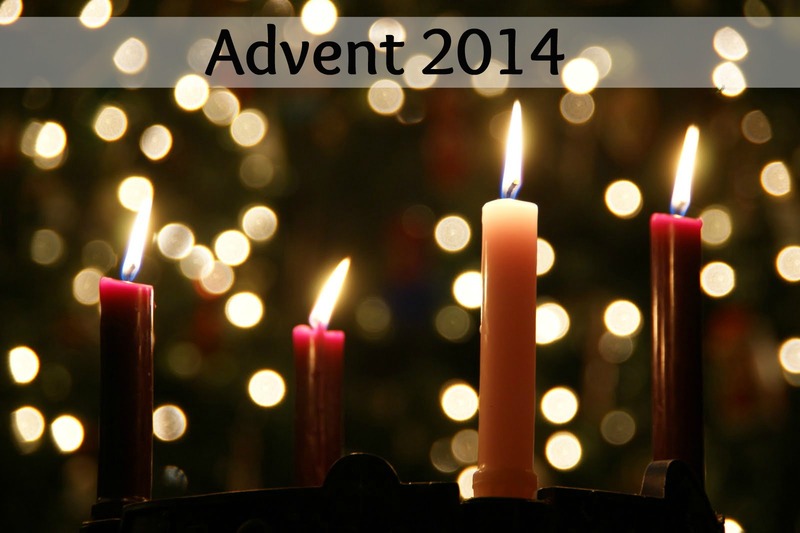 Have you used an Advent journal before - any other ones to recommend? Another thing I want to do is focus more on giving and spreading joy to others. This past summer, we did a bunch of random acts of kindness, and that's what we'll be doing again this holiday season. We made a list of ideas here - any more ideas to share? Here's to a blessed Advent season! What an amazing list of random acts of kindness!! I love your ideas and am going to work on doing several of them. It's easy to get overwhelmed with Pinterest so smart thinking on simplifying things this year so you can truly enjoy the holidays with your family.